Play your music in perfect audio at home or work with this Intempo Bluetooth fabric desktop speaker. 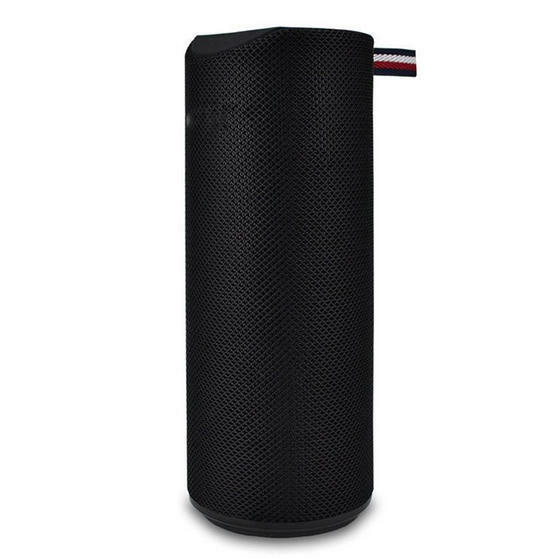 With a wireless range of up to ten metres, it is wonderfully compact so it will fit comfortably in a bag and it also has a powerful rechargeable battery so you can listen to music anywhere. Featuring two 3 W speakers inbuilt it produces fantastic sound and the sleek black design looks superb. 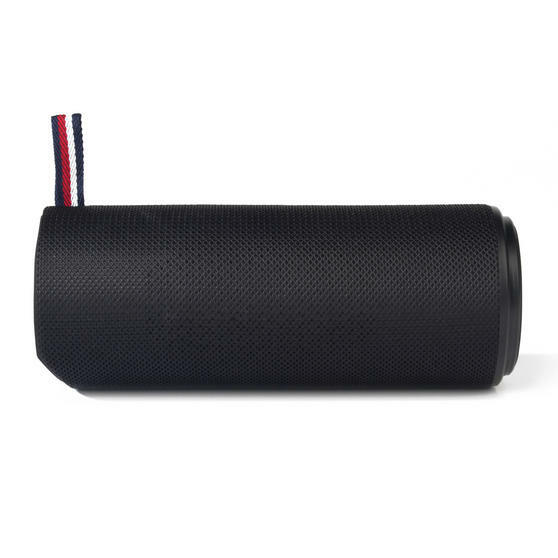 The speaker is simple to use, an Aux cable and a micro USB charging cable are included. 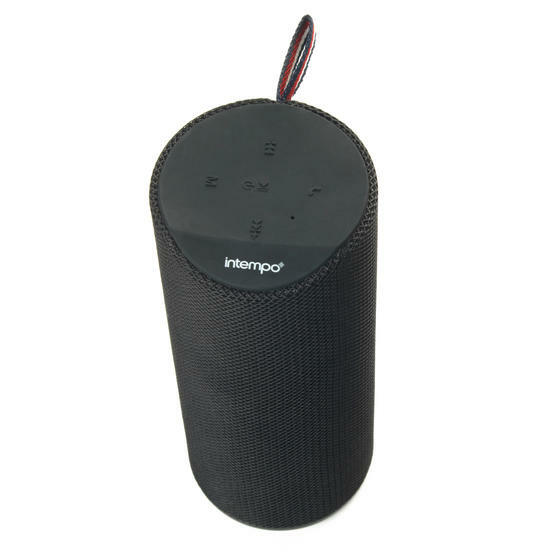 Enjoy your favourite tracks in crystal clear audio with this Intempo Bluetooth Fabric Desktop Speaker which has a rechargeable battery. With both wireless and Aux. input options, it has two 3 W speakers inbuilt and a microphone suitable for hands free calls. With a wireless range of up to 10 m, you can effortlessly control your playlists from across the room via your phone or tablet. 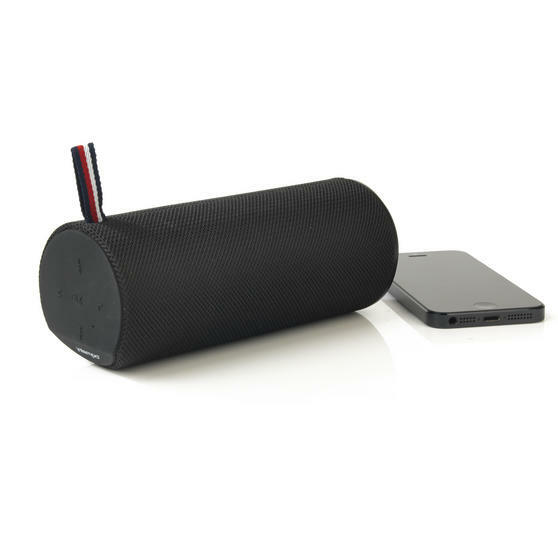 Featuring a convenient rechargeable battery, simply charge it up and play your music wirelessly wherever you want. Sleek in design, measuring 16 x 6 cm, this speaker compliments any desktop and its compact size makes it easily portable.